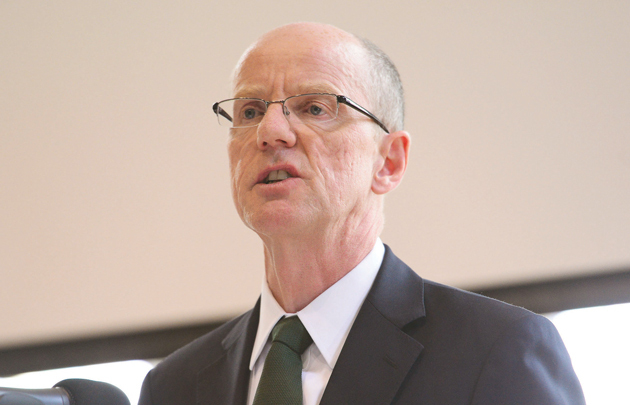 Schools will have to admit summer-born five-year-olds into reception classes if their parents so wish, Nick Gibb has said in a letter today. The schools minister has confirmed government plans to amend the school admissions code so that summer-born children can begin school after their fifth birthday and be placed into a reception class. Under current rules, summer-born children can begin school once they have turned five, but are typically placed straight into year one rather than reception. Or, if placed into the lower year, are later made to skip a year when joining secondary school. Parents can request an exemption to the rules, with recent changes to the admissions code making it easier for them to do so, but the government has received complaints that the process has not worked for some parents. Mr Gibb has today written to parents confirming that the code will be amended again to make it easier for parents to request a reception place for their summer-born children. He said: “It is disappointing that some parents continue to report that the changes are not working. They either feel forced to send their child to school before they are ready and before they are required to do so, or else miss out on their reception year at school where the essential teaching of early reading and arithmetic takes place. “I have also heard that some children who are admitted out of their normal age group are later required to miss a year and move up against their wishes to join the other children of the same age range. “We have, therefore, decided that it is necessary to amend the School Admissions Code further to ensure that summer born children can be admitted to the reception class at the age of five if it is in line with their parents’ wishes, and to ensure that those children are able to remain with that cohort as they progress through school, including through to secondary school. Details of the public consultation are due to be announced soon. The proposals will also have to be approved by Parliament. What if the child isn’t ready at 5 or 6 or 7? The whole system needs changing. Many boys aren’t ready for formal education until 7 or 8. If the government are going to make changes, then do it properly: raise scho admission age to 6 or 7. But no government is brave enough to do this. It all deoends on the individual child. My son was born in August and stsrted schoolnjudt after his 4th Birthday and neither the teachers or us feel thst he is behind. If anything he is ahead. But he was in privste day nursery from 6 months old. I think this is great I have a summer born child who went to school weeks after her 4th birthday she has done amazing at school and is talented and gifted where as I am now faced with another summer born child who is due to start next September who is no where near ready so im in hope I can delay his start for a year and he still start in reception. I think this is an amazing scheme put in place, unfortunately I have been one of the victims that have had to suffer from being one of the youngest in school. It was a horrible experience, however after 30years if this strategy has been implemented I am going to honour this and facilitate it for my daughter.